Best Deal! This voucher code is valid until September 9th and will get you 10% off the total price of your hotel booking. Use this discount code to save 10% off your hotel booking with Hotels.com. Book by May 1st for travel by September 30th, 2018. You can use this discount code to save 10% off your booking, if you are using the app. How do you do that? 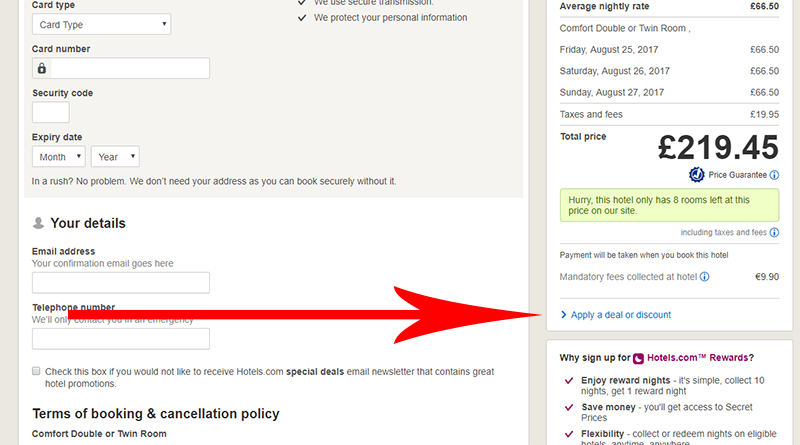 Book the hotel you like, and if you have the option to 'pay now', select that option. Then, redeem this discount code at checkout. This is another app-only coupon code. But it'll save you 8% off your booking when you redeem this discount code. Save up to 40% on Beach Destinations! Limited time offers on all the hottest beach destinations in Spain including Ibiza, Mallorca, and Barcelona. Explore the Nordic countries and enjoy savings of up to 30%! See the northern lights! Visit beautiful countries like Sweden, Norway, Iceland, and Denmark with savings of up to 30%. Collect 10 Nights, Get 1 Free! Through the Hotels.com rewards program, you can earn free nights at hotels around the world. You can collect the 10 nights over one longer trip, or multiple shorter trips. Verified university students can enjoy 10% off of their hotels.com purchase. 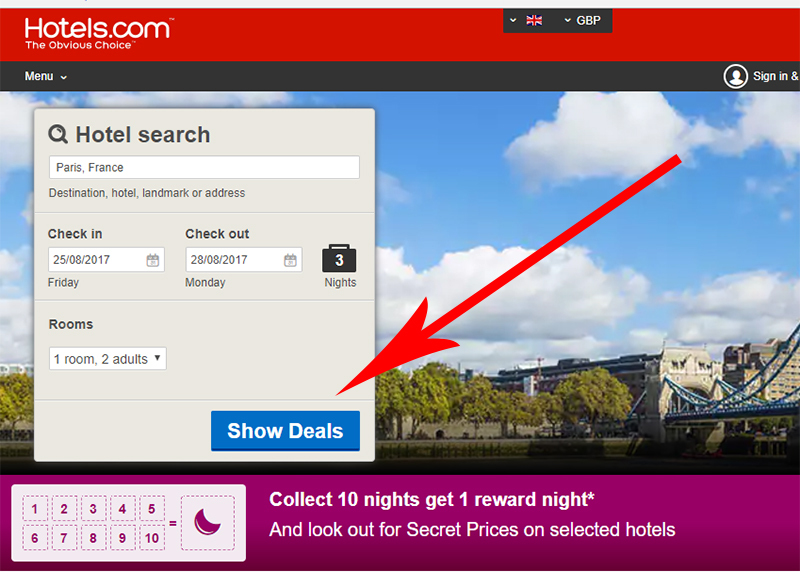 Hotels.com has partnered with Paypal for a promotional offer. 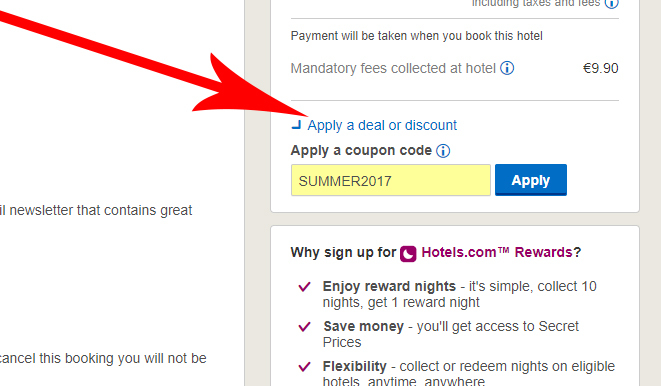 If you pay for your hotel booking using Paypal and use this voucher code you can get a discount of £40. Input this voucher code to receive a £100 when checking out. Some restrictions apply, please see website for details. When you spend at least £300 you can use this coupon to take another £40 off. Hotels.com's rates are already 40% off but you can use this voucher to take an additional 10% off your order at participating hotels. 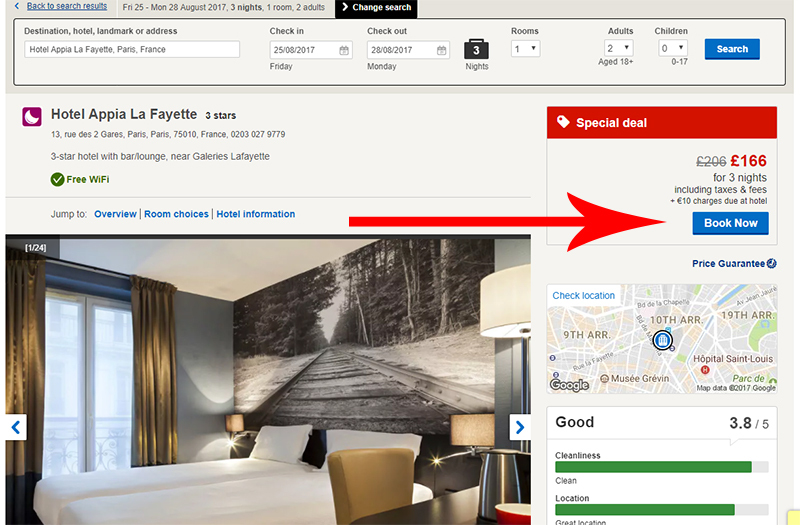 This promotion is for Hotels.com Canadian customers visiting the UK: take $40 CAD off your booking when you spend at least $300. Candadians visiting the UK this summer can save $80 on top of the 30% discount when using this promo code. Use this voucher to get 10% off on top of the regular 40% with Hotels.com. The summer sale is on at Hotels.com! Use this voucher code to take 10% off the whole site, must book by August 5th. Redeeming this voucher code at checkout will get you an additional 8% off of your booking. A voucher code for a £25 discount when you spend £250 or more. Going across the pond this year? Save $10 off Canadian hotel bookings of at least $100. Select hotels in the United States have a rate of £50/night. This voucher will get you an extra £5 off on top of that. Use this voucher for bookings at select hotels to get £25 off your total when you spend at least £250. Limited time offer. Save 10% on your booking when you use this coupon at Hotels.com. When you use this promo code you can take 10% off your hotel booking at checkout. Hotels.com has a referral program, earn £50 for each friend that you refer. See website for rules and restrictions. This voucher will get you 10% off your booking of 1 - 28 nights. 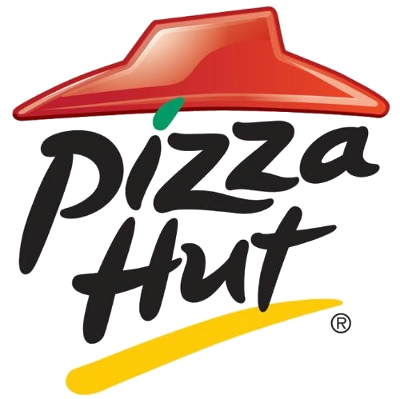 Welcome to our round up of Hotels.com Discount Codes. Ready to book that hotel room? If so, you’ll have plenty to choose from with Hotels.com. 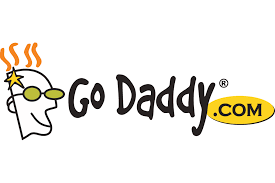 The company currently has 85 websites in 34 languages, and their listings consist of an estimated 325,000 hotels in 19,000 different towns, cities, and countries. They offer more than hotels, too. If B&Bs, the condo life, or other forms of commercial lodging are more your speed then you’ll be glad to hear Hotels.com has plenty of options. If you do a lot of travelling, they also have a loyalty program in place for frequent customers called “Hotels.com Rewards.” This exclusive club grants customers access to most, but not all, hotels, regardless of chain or type. Below, you will find our list of Hotels.com coupons. Please make sure you browse all of them before settling on one. While we are diligent in testing our coupons before posting them sometimes technical errors can occur (though it’s extremely rare). If this happens just let us know and we’ll fix the issue promptly. Online shopping carts tend to hide the promo code area in different places (sometimes they don’t want you to use them), so we made this guide to make sure you don’t miss out on savings. Just follow the simple steps below. If you are using a specal offer link as opposed to a discount code, then all you need to do is click on the button above and the savings will automatically be applied. The first thing to do is search for hotels in your destination of choice. Just type it into the box on the home page and hit the blue ‘Show Deals’ button. From the list of hotels that is displayed, have a look through and select the one that you would like to book by clicking on the blue ‘Choose Room’ button on the right hand side of it’s info box. The next page is just an overview of the hotel you’ve chosen. Go ahead and click on the blue ‘Book Now’ button to get to the actual list of rooms available. This is the list of rooms available. 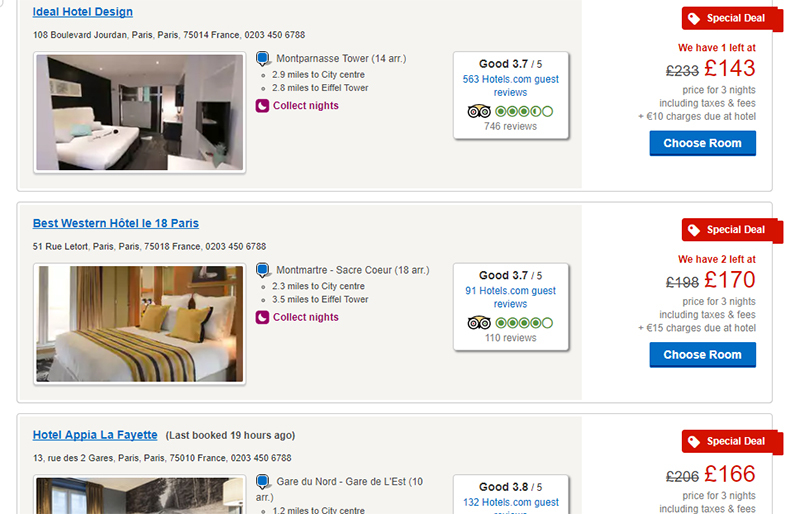 Have a look through, and when you find a room you like you can click the blue ‘Book’ button on the right hand side. Why does the same room have multiple prices? Some hotels will offer extras like breakfast included or free cancellation for a higher fee. Finally, the page where you can actually apply your discount code! The place to enter it is a bit of a ways down the page, on the right hand side underneath where the total price is listed for your stay. Click on the blue ‘Apply a deal or discount’ link to open the box, and type or paste in your discount code. It will let you know right away if it is a valid code or not. Hotels.com was founded in 1991 by David Litman and Robert Diener. At first it was known as the Hotel Reservations Network, providing a booking service via phone in the US. 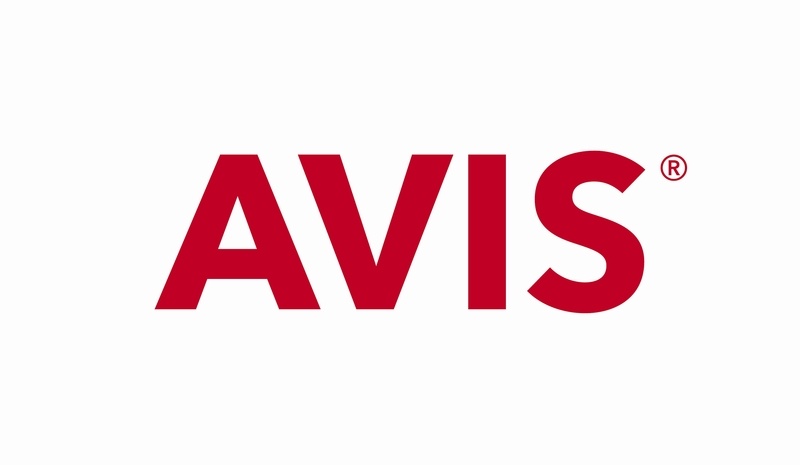 As their reputation grew the company was bought by USA Networks Inc which also worked closely with Expedia—a very popular online travel agent. 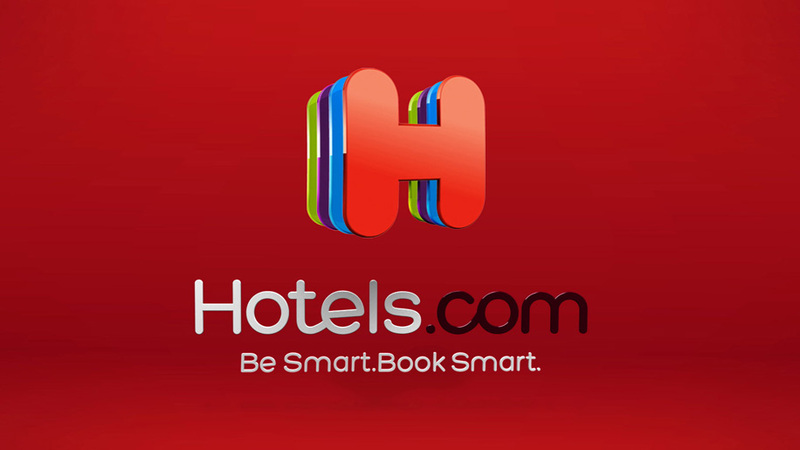 The Hotel Reservations Network changed its name in 2002 after buying the Hotels.com domain for roughly $11 million. This kick started a snowball effect of international expansion, adding a total of 29 websites over the course of two years. Since the beginning of 2002, they have added websites for the Americas, Europe, South Africa, Southeast Asia, Japan, and more. Customers from all corners of the globe are free to book via the company’s multilingual call centres which are both toll-free and paid, depending on the country of booking. According to research, it would take 288 years to spend just one night in every Las Vegas hotel room. We can’t help but wonder if they’ll begin to offer all inclusive sleep packages at some point in the future. Sin City is also the record holder for the city with the most hotel rooms in the world. At any given moment of any day there are approximately 61,000 people flying above your head. Mindblowing! If you’re a bird lover you can forget feeding the pigeons on the streets of San Francisco. It’s illegal, and will cost you a hefty fine. Dying is illegal in the house of parliament…yikes. Hopefully they have a good severance package. If you happen to have a desire to do some fine dining is Switzerland, make sue you don’t add salt to your food. Doing so is an insult to the chefs. If you’re afraid of water head over to Siberia. It’s the only country in the world with no rivers. Hotels.com are fairly active on their Facebook page, providing customers with travel tips, destination ideas, discounted hotel bookings, gift ideas, and more. Their customer service response rate is very high, and they are dedicated to resolving any issues regarding any service. They currently have 2.8 million followers, so they must be doing something right! Their Twitter feed is a bit better than their Facebook page in our opinion. It’s a lot cleaner due to the lack of clutter from customer comments, and we’ve found they post deals and special discounted rates more frequently here than anywhere else online. If you’re thinking about booking with Hotels.com feel free to check out any one of the 7 million+ guest reviews on their website in order to make an informed choice before booking. There’s a lot to consider if you want the perfect stay. Hotels.com has their own loyalty program called Reward Nights, so how does it work? First of all, you collect nights by staying in hotels that you have booked through Hotels.com. Every night you stay equals one night in your collection. Once you have gathered 10 nights, you get one Reward Night. These 10 nights do not need to be all in one trip, they can be collected over many hotel stays. The value of your reward night is determined as being the average value of all the nights you had collected. 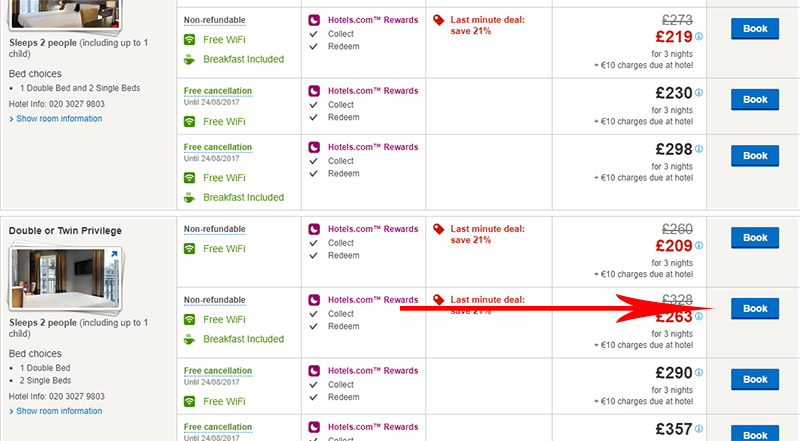 When you redeem a Reward Night, you do not collect a further night on that day of your hotel stay. How does one redeem their Reward Nights? If you are booking online it’s very simple, as the Rewards night system will be connected to your online account. There is a filter you can apply to see which hotels will qualify for using your Reward Night (some hotels choose not to participate in this program and will therefore not be avialable for booking). When you have selected a hotel, if there is the option to Pay Now, please select that option. If you would like to book a hotel room that is of a greater value than your Reward Night, you are welcome to do so and pay the difference. However, if you book a room that is of a lesser value you will forfeit the difference. Please note that the Reward Night value does not include taxes and fees. Other things to note are that you may only use one Reward Night per night, so you are not able to ‘stack’ two Reward Nights to pay for one night at a more expensive hotel. You can however redeem more than one Reward Night for multiple night stays. In theory it could be possible to get a mostly free stay at a hotel if you have a lot of Reward Nights saved up, just remember that taxes and fees are not included so you will still need to pay those. In the event that you need to cancel your booking, your Reward Night(s) will be returned to your account within the hour, provided that you have cancelled within the hotels cancellation period. This window will vary from hotel to hotel, so make sure you look into it before making your booking. If you cancel after the hotels cancellation period has ended, your Reward Night(s) will be forfeit.